When you think of bicycle touring you probably have an image of a tough slog with early mornings, Tour de France style punishing days of riding and uncomfortable nights trying to lessen the muscle pains. But is that the reality? Get to know our travellers? Many people imagine that cycle touring is only for super-fit cycle-crazed travellers. They imagine being cling-wrapped in lycra and spending long painful days on the road, seeing nothing but the tarmac in front of them. Cycle touring can be like that, if that’s what you want. But, it can also be a leisurely way of immersing yourself fully into a destination. It can be a way to travel slowly and mindfully, becoming a part of the places you visit and the lives of the people you meet. That’s the option my husband and I chose when we set off on our bikes in 2013. During the next two years, we cycled 16,000 km in 22 countries, always taking it slowly and leaving plenty of time to experience the world away from our bike seats. So what’s it really like to cycle tour? Would you like it? Could you hack it? Read on to find out. What Kind of Traveller Should Cycle Tour? Cycle touring is all about freedom: freedom from bus schedules, airport queues, and guide books. Freedom to go exactly where you want, when you want; and equally, to stop when and where you feel like stopping. If the idea of idling on a beach or dragging yourself from museum to cathedral to museum is your idea of hell, then cycle touring might be your perfect mode of travel. Cycle touring takes you off the beaten path (sometimes way off!) and lets you experience local life up close. The great advantage of cycle touring is that you get to see every little village, hamlet, and bump in the road between point A and point B. The great disadvantage of cycle touring is that you get to see every little village, hamlet, and bump in the road between point A and point B. So if you feel the need to hop from sight to sight, not missing a thing in the guidebook, then choose another form of travel. But if you want the ultimate freedom to immerse yourself in a culture on your own terms, then you are the kind of traveller that cycle touring was made for! Do You Have to Be Ultra-Fit to Cycle Tour? You may have heard tales of cycle tourists who ride 200 km per day, stopping only to refill water bottles and grab the odd snack. That’s certainly one way to do it. We opted for a slower way. We were happy to putter along at 10 km per hour, to pause for lots of coffee breaks, and to stop for the night by 2pm! If you’re not that in shape when you start your cycle tour, plan for short days at the outset. Your body will soon become accustomed to the daily activity and soon you’ll be in better shape than you ever though possible. Cycle touring isn’t just for the young, either. Most of the cyclists we met were retirees, who had left behind grown children and homes to spend a few weeks, or months, on the road. What Is Cycle Touring Really Like? There’s no single answer to this question because every cycle tourist decides their own style. Some go for years on end, sleeping in the woods and eating foraged food. Others take a two-week supported trip, where a van carries their luggage and a comfy inn awaits them every evening. Some cycle tourists like to leave civilization behind, cycling through wilderness where wild animals are more common than people. Others prefer a more urban adventure, with vibrant cities making regular features on their route. For us, cycle touring was a combination of all of these options. We started our two-year tour in Italy, where we spent a couple of weeks riding short days through the rolling hills of Umbria and Tuscany. We stayed in comfortable B&Bs and small hotels, taking plenty of days off to stroll through the mysterious streets of some of Italy’s best hill towns. We indulged in as much pizza, pasta, and gelato as we could eat — which is a LOT when you cycle almost daily. In Scandinavia, we left the modern world behind, riding from lake to lake and camping each night by a new shore. We cooked meals on our camp stove and bathed by splashing in clean, cold lake water each morning. When we began to feel disconnected, we paused for fika – sipping on lattes and munching on pastries while we caught up with the news. In China, we visited villages where nobody under 30 had ever seen a foreigner. We became instant celebrities and the towns-people would bring their babies to be kissed and photographed with the strangers. Heads turned and people shouted in surprise wherever we went. Amid the chaos, it was lonely, as we went weeks between meeting anyone else who spoke English. In Cambodia, we regularly rode 100 km days – hotels aren’t easy to come by in the region. By that time we were so fit that 100 km seemed easy. Still, needing a rest, we spent a week living in a bamboo hut on an island with no running water or electricity. In Siem Reap, we stayed in a luxurious bed and breakfast for $25/night and explored the ruins of Angkor Wat on our own bicycles. There’s no one answer to what cycle touring is like. It changes with your mood, your desires, and your destination. The only constant is that it is always done to your schedule on your terms. No one else sets your pace or your route, there are no schedules to pore over, and no appointments to keep. Cycle touring is certainly not for everybody. But if you crave ultimate freedom to travel slowly, soaking up whatever comes your way, then you might want to give cycle touring a try. La Vida Global is about road trips, the places they can take you and the amazing things to see along the way. It's about taking the scenic route. When you think of travelling by bicycle you probably image a tough slog of early mornings, Tour de France style punishing days of riding and uncomfortable nights trying to lessen the muscle pains. But is that the reality? 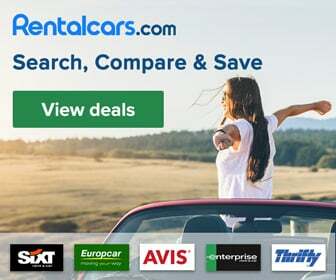 Is it safe to rent a car in Mexico?